The Freedom Fighter's Journal: LEFTIST "VICTIM" MURDERS LEFTIST "VICTIM"
LEFTIST "VICTIM" MURDERS LEFTIST "VICTIM"
You can see the dilemma facing mainstream media outlets. A crime against one of their prized victim groups was committed by a member of another victim group. What to do? Having trouble viewing this email? Click here. You can see the dilemma facing mainstream media outlets. A crime against one of their prized victim groups was committed by a member of another victim group. What to do? 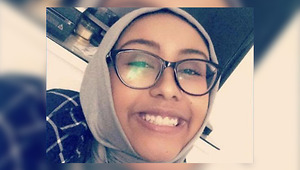 When Nabra Hassanen was brutally murdered in Virginia this past Sunday, the media's collective ears perked up. She was a studious, friendly, innocent 17-year-old, a devout Muslim who was killed while approaching her mosque. Almost immediately, The Atlantic ran with this headline: "Muslims Feel Under Siege." The magazine instinctively linked Nabra's killing with the London incident in which a man plowed his car into a group of Muslims leaving their mosque. "Muslim Americans are mourning and terrified," The Atlantic breathlessly reported, "after two violent incidents left worshippers dead over the weekend during the holy month of Ramadan." USA Today and the Huffington Post both headlined Nabra's religion and her proximity to the mosque, clearly implying that this was a "hate crime" perpetrated against Muslims. The Council on American-Islamic Affairs, naturally, suggested bias and claimed there is "rising Islamophobia and anti-Muslim hate attacks nationwide." We are not accusing media types of celebrating the killing, but they were enthused because this seemed to fit their narrative that America is a hate-filled country and Muslims are frequently targets of violence.